“I had allowed myself to fall back into the same cycle of nagging and shouting at my children." Could it be that we, as adults, often undermine God’s love for our children and limit His presence in their lives because of our own hurts and pain? In desperate times where broken families, teen suicide, abortion, AIDS, and other issues are on the rise, how can you raise your children to be Godly, yet not religious, and teach them to have a healthy long-lasting relationship in their marriage? 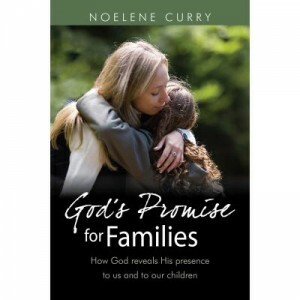 In God’s Promise for Families, author Noelene Curry gives practical advice on how to raise children to with a deep sense of their own value and worth and how to teach them that God loves them and rejoices over them. She emphasizes some practical Biblical ways to discipline and pray for your children as they seek after God’s presence in their own lives. I can relate to Noelene’s exerpt from the book, “I had allowed myself to fall back into the same cycle of nagging and shouting at my children. Instead of immediately taking control of a situation, I had allowed their behavior to carry on until I lost my temper then blamed them for making me lose it”. I couldn’t agree more! During the tests and trials that we go through as a believer in Christ instead of leaning, trusting and depending on the Lord to help us through the situations we go the opposite direction. It is during this time that we need to pray and exercise our faith and God is so faithful He is just waiting to show Himself strong on our behalf. I enjoyed reading this book and I am sure that you will too. You will laugh and cry and gain a deeper understanding of family from God’s perspective. "There is an active, destructive, and intelligent enemy who’ll do anything to derail you"
There is an active, destructive, and intelligent enemy who’ll do anything to derail you from realizing your full potential and accomplishing your purpose. He adapts his temptations and tricks to suit your natural inclinations and desires, modifying his lure to match your lifestyle. The enemy opposes and resists you, and tries to stand in the way of the answer to your prayers. For those times, God has given you the power and authority to crush the enemy! 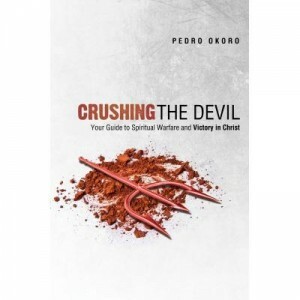 In Crushing the Devil, Pastor Pedro Okoro, (New Covenant Church, Wallington, UK) awakens your soul with this guide to spiritual warfare and victory in Christ. Defining spiritual warfare, he tells how to equip yourself with weapons needed to fight the battle.Crushing the Devil dares you to take God at His Word-because winning the battle doesn’t require physical brawn, but spiritual brains! This book is a spiritual weapon for those who are believers in Christ. This is an awesome resource and reference to accompany your Bible study time. In this book Pastor Pedro Okoro provides you with scripture references to reflect upon as well as biblical tools in order to have a victorious life over the enemy as a believer. In his book Pastor Okoro states ” To submit to God is to trust and obey. Put differently, to yield to God is to walk the talk. Without total surrender and complete submission to God, we cannot firmly resist and stand firm against the Enemy. Resisting the enemy means standing firm against him in prayer and opposing him with the Word of God. For this to happen, you must pray with the help of the Holy Spirit. Pray all manner of prayer. Speak the Word of God into the situation you are faced with…” you can read the full quote taken from page 200 in the book. There are so many different areas of spiritual warfare to cover, you have to get the book for yourself. You will be equipped with a renewed spiritual mindset and made aware of the devices the enemy uses to hinder our progress, ministries and your Christian faith walk. At the end of every chapter there is a section that includes Food for Reflection, Prayer Features and Action Points. In each one of these subsections Pastor Okoro provides important action points and lessons to reflect on, to encourage you and teach you how to examine yourself spiritually and walk in faith in every area of your life. I believe this book will be a blessing to you and encourage you in those times of difficulty. It was an eye opener for me and I have learned so much by reading this book. "She loved the discovery of the ancients skeletons"
I passed this book on to my granddaughter and she read it for me, so I am going to post what she said. First of all she loved anything to do about archelogical sites so she jumped right on. She loved the discovery of the ancients skeletons as Will Evans was on a trip to the reservation and thought he was going to just play skateboarding and being lazy. 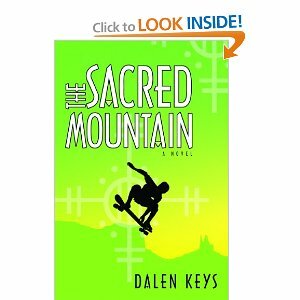 But when he arrived he and his friends begain a search to try their hand at finding out about a old take of a boy disappering while exploring the mountain. She really enjoyed this book and I want to think Deep River Books for sending me this free book for a review. "This book has helped me understand and appreciate this time period and the history of it so much more." I will always be a fan of courageous women. That is why this book, From an Orphan to a Queen by Titi Horsfall caught my eye. This is a story about the courageous heroine of the Old Testament in the Bible--Esther. In From an Orphan to a Queen, novelist Titi Horsfall laces historical and biblical events with fiction, weaving a tender and vivid recreation of Esther’s journey. The biblical account of Esther is a story of deliverance and of prophecy fulfilled, through an amazing interplay of characters and divinely staged events. In this book, our heroine’s story comes to life as a tale of hope and personal discovery… a tale of a girl whose hopes and fears were not all that different from young women today. Chosen by the king, young Esther was forced to replace another wife, mother and queen. With the encouragement of her uncle Mordecai, Esther risked her life, revealing her identity as a Jew to influence the king to reverse an execution order against her people. Her brave actions forever changed the course of history. Although I've heard and read the story of Esther many times, this book brought Esther and her story to life for me in a whole new way. Sometimes the Old Testament stories get a little jumbled and confusing for me, because there are so many foreign names and places, and I find them hard to relate to at times. Author Titi Horsfall has done a marvelous job of giving the background for all that happened in Esther's life and making the reader feel like they are part of the story. I have so enjoyed reading this book, because it has helped me understand and appreciate this time period and the history of it so much more. I also now realize that I can relate with Esther more than I thought. I think we all can relate with the realization that only God knows our future and when we trust in his plan, he will give us greater blessings than we could have thought of for ourselves. I think this book will appeal to almost everyone, as it weaves history with inspiration and hope, war and politics with family and personal struggles. I can't recommend this book enough, and I hope you are all blessed by it as much as I have been.